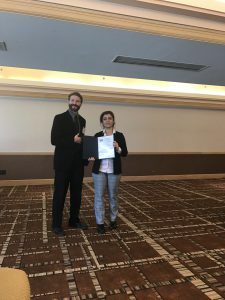 In October 2016, Maryam presented the paper “Structural Health Monitoring and Design Verification of Tidal Turbine Support Structure” in 75 the Annual Conference of American Society of Non-destructive Testing (ASNT) in Long Beach, Ca. She had a chance to introduce the Tidal Turbine project and talk about to other participants about monitoring issues and various inspection methods which are more appropriate for the Tidal Turbine Deployment system. 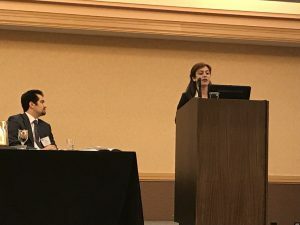 In March 2017, Maryam presented a paper on “Instrumentation and Structural Health Monitoring of a Vertical Lift Bridge” in 26 the Research ASNT Symposium, Jacksonville, Fl. She introduced the monitoring plan of the Memorial Bridge, the challenges, objectives and the procedure for designing the instrumentation plan and getting familiar about modern methods of monitoring the bridges. She is also the Recipient of the Annual ASNT travel grant for participating in the conference.